Well, sorry everyone. I’m going to have to rescind that billion-dollar offer. I tried. Don’t blame me; blame Oprah. 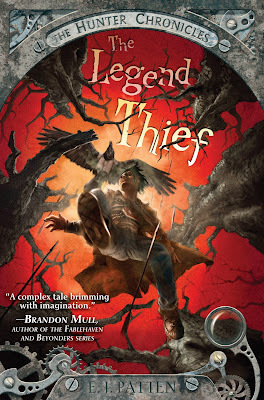 How about if I giveaway an advanced reader copy (ARC) of The Legend Thief, instead? A note: I don't have an ARC yet, it may be a few months before I get one, and there's a small chance I may not get one at all. I only got three copies of the Return to Exile ARC. But, if I get one, I will sign it and give it to the winner. If I don't get one, I'll find something else to give you, but I am 99% sure I will have a copy of the ARC to giveaway. ARCs are rare and signed ARCs are even rarer. I signed maybe five ARCs of Return to Exile. 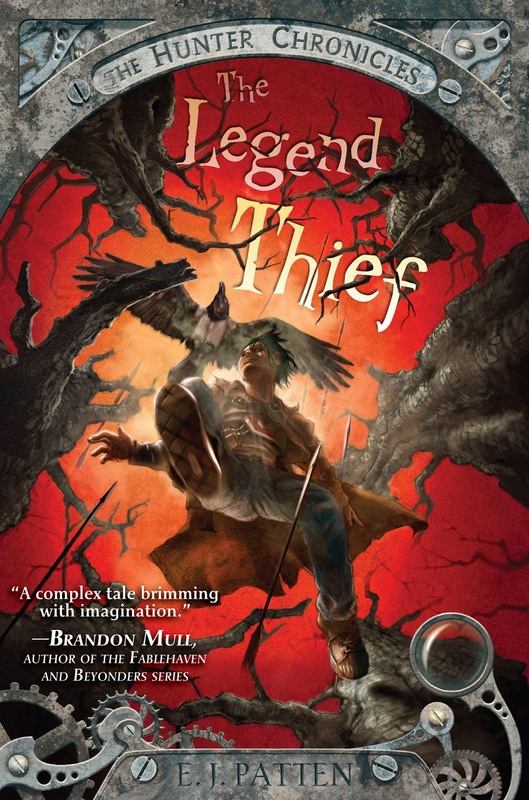 The Legend Thief, which doesn't come out until December, is full of awesomeness: hundreds of hunters hunt Sky through the flooded crypts and crags of the north cemetery (aka "The Sleeping Lands") trying to kill him. On top of that, he has to evade the Darkhorn, solve a four-hundred-year-old murder, and stop Bedlam (the Arkhon's brother) from burning Exile to the ground. I finished the copyedit two days ago. It is awesome, awesome, awesome. Seriously. I'm amazed I wrote it. I'm subscribed to your blog and G+ page, and I plussed and re-shared your post. I can't wait to read more! I really hope that I win this! 1. I bought a copy. 2. I follow the blog. 3. I liked this blog and the Facebook page. Yippee! More chances. I want a Arc so bad! The first book was great and i can't wait for the sequel. It sounds so cool! I hope I win so bad!!! I liked the blog and the facebook page. I could really use a billion dollars...but books are cool too I suppose. I loved return to exile and was even so mean that I made my kids wait until I finished it before they could touch it. They liked it, too. I follow your blog, which doesn't mean I read all your posts, sorry. And since you mentioned it, I just liked your FB page. Say hi to Katie...and go buy her some flowers. 1. I DEFINITELY bought a copy!! 2. I Liked this blog / the Facebook page! 3. Bonus points for loving this book uber much?? lol -- Anyway -- SUPER excited for book 2. It can't come fast enough! 5) I got suckered into drawing up a couple of monsters for you that you drag around to crummy book signings. 6) I know where you live and I know where you sleep at night! 7) I've almost perfected my monster kit and you'll rue the day you ever came up with such horrific creations!! You know I am in on this. I bought an extra copy because the ARC I received was going to get worn out by people wanting to read it. I follow your blog and you FB page...so I don't know what else to say except, I enjoyed the first so much I have turned many readers towards you. And the blog and your face book page are grate! I enjoyed hearing you speak last night at the Provo Library. Thanks for writing and being inspiring! Your ARC prize is WAY better than a billion dollars. Think about it. There are hundreds of billions of dollars sitting around this world, but there will only be a handful of ARC of your sequel. I bought your book last night at the library, thanks for the signature. I'm enjoying it greatly so far. I love how many questions are raised in the prologue. I can't wait to keep reading. So, what am I doing still typing. Hi. Please count me in on your giveaway (of whatever it is...) I honestly haven't yet read anything of yours, but I'll be looking to very shortly. I do have your blog bookmarked too. I don't do the subscription/follow thing. Have a nice day and keep on writing! And am following the blog. Return to exile was a great book keep it up. I just finished the first book 2 minutes ago and googled the author. I want to win the 2nd one! I liked you on FB and I am following the blog. I bought a copy of Return to Exile, but I'm not allowed to Facebook. :) Please pick me anyway!!!! This book was amazing. Seriously. 2. I followed the blog. when will we find out who has won the ARC?